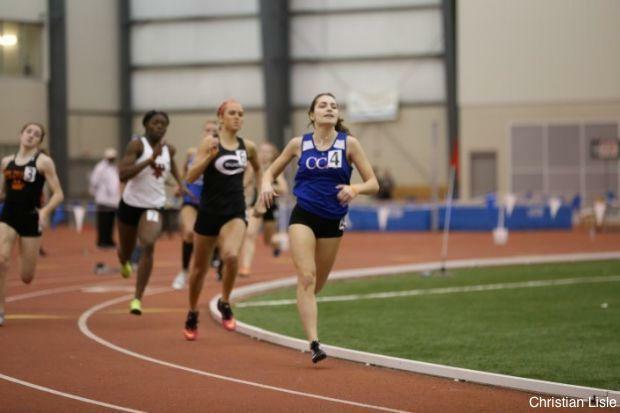 Moser only competed at one indoor meet in 2018, but if her 2018 outdoor season is any indication of her prowess in the sprints, then Moser should be considered a top D2/3 talent. Assuming she comes inside to race more this winter, the 7.91 60 dash personal best (#2 among returners) and 27.60 200 will be propped up by outdoor personal bests of 12.14 in the 100 dash and 24.88 in the 200 and should make her a contender for the indoor titles. Strong is an understatement for this Tuslaw senior. Ke'Aijhan Strong returns in 2019 to defend a state title in the 400, improve upon a 4th place finish in the 200, and possibly contend for a 60 dash medal. While coming down to the 60 is a possibility, she has already shown at the first Tiffin HS meet that she could be planning a move up to the 800. She posted a 2:34.33 there which is already very close to her 2:31.79 personal best from the 2017 season. 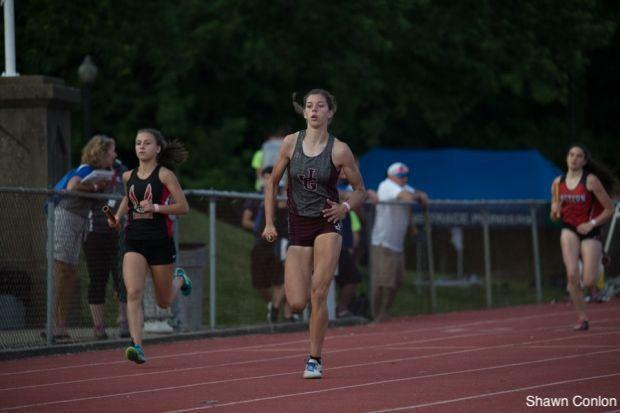 Ervin is the second fastest returner in Division 2/3 in the 60 dash and is one of only 11 girls in the entire state returning with a sub-7.9 from 2018. She is the one of only two D2/3 girls under 7.9. The Labrae senior placed 5th in both the 60 and 200 last March is a clear contender for titles in both events. To go along with her second ranking in the 60 dash, she returns with the fourth fastest 200 from 2018 (25.71). With her 8.86 60 hurdles best, Leah King is among the top 40 returners in the entire country in the event. Her 13.89 in the 100 hurdles at this past year's state meet was 24th in the country this spring and her 42.55 300 hurdles best was 16th in the nation. But you already knew how good she is...right? King will return this indoor season looking to dominate the 60 hurdles again and should do just that. She is nearly a half second ahead of the next closest contender which, in a 60 meter race, can be quite a wide margin. 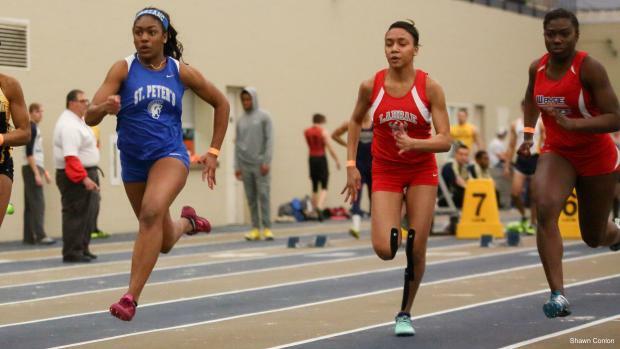 Calista Manns and Jazmyn Potts could be the top names to contend to take her down based off their performances from last indoor and outdoor seasons. 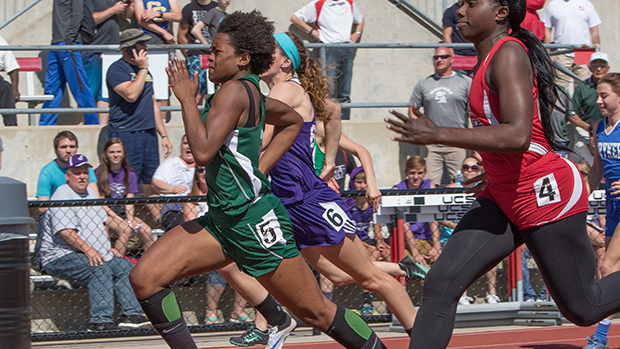 No discussion of the top sprinters in D2/3 is complete without mentioning Azsah Bradley. After finishing second in the 2018 60 dash and sixth in the 200, Bradley took the outdoor oval and took third in both the D2 100 and 200. 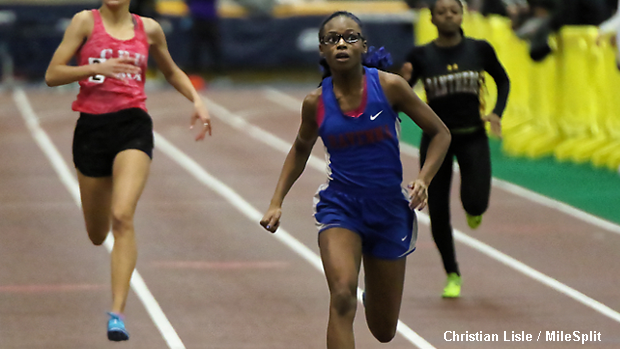 She returns as one of thirty-seven girls in the country between 7.6-7.7 in the 60m dash as her 7.69 best is tied for 57th among returners. That 7.69 is .15 seconds ahead of the next fastest returner and her indoor 200 best of 25.65 ranks third among returners. 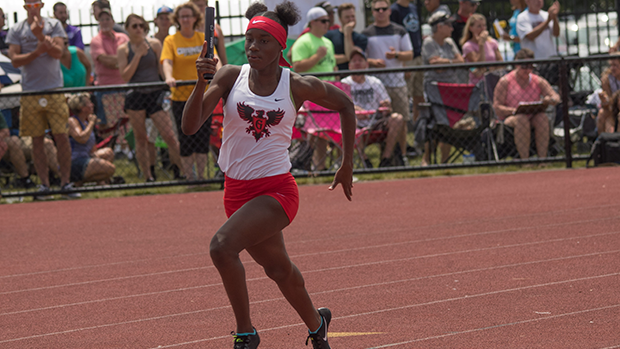 Torrence was a key contributor for the Buchtel sprinting onslaught, but was notably absent in the open events down the stretch during the outdoor season. 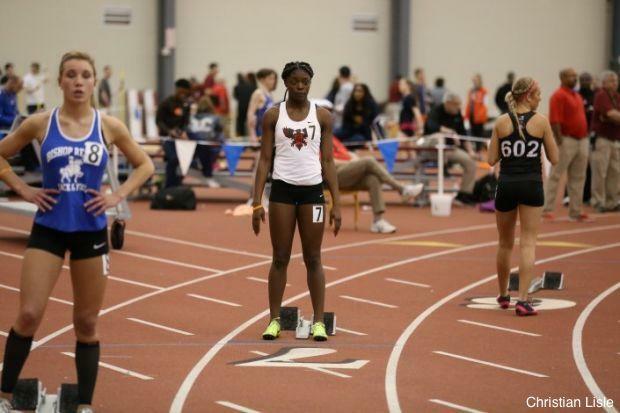 Regardless, should the Buchtel senior return for a final indoor campaign, she will attempt to add more hardware to her currently small collection. Last winter, she finished 2nd in the 200 with a 25.36 best, took 5th in the 400 with her 58.22 mark, and anchored the 4x200 to a gold medal. Outdoor, in her only meet, she improved to 25.09 and 58.13. Suszek's resume is impressive after a stellar freshman champaign. She returns with outdoor personal bests of 25.97 in the 200 and 57.56 in the 400, but that indoor 58.01 best ranks second among returners, the closest challenge to Ke'Aijhan Strong's 400 title quest. She was third last season as a frosh, but looks poised to climb even higher. Walker contested the 60 Hurdles and 400 at last year's indoor state meet, taking 21st in the hurdles and finishing 11th in the 400. She may not have broken 1:00 indoor, but outdoor she dropped a 59.48 and went under three times. Furthermore, her 15.87 100 hurdles best shows she may be a contender for a podium spot in the 60 hurdles this winter. Keep an eye on this John Glenn sophomore as the season starts to ramp up. One part of a very strong sprint crew at Buchtel, Nevaeh Lewis will be one to watch make a name for herself this indoor season. 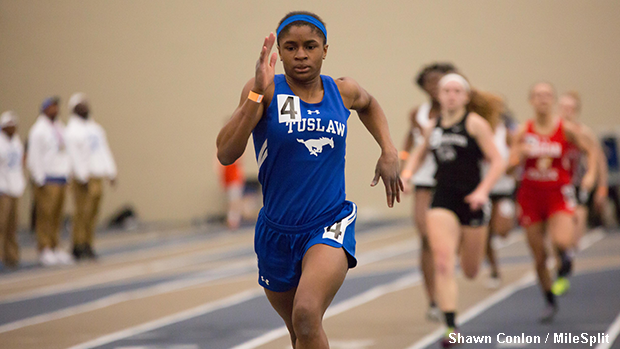 She has state meet gold in her trophy case now after running a leg on the state champ 4x2 this outdoor season, but will be looking to add indoor hardware to the collection after coming up short in her 60 dash attempt last March. The 12.23 she put down in the 100 this outdoor season shows us that that 8.15 personal best in the 60 is not here to stay. Of all the sprint races, the 200 should prove to be the most hotly contested. Five girls come back with indoor personal bests under 26 and five more are under 26.7. Buchtel's Rayannah Torrence is tops with her 25.36, but Ke'aijhan Strong will absolutely give her fits as they contend for the individual title at state with her 25.50 best and sprints range. Furthermore, six of the top ten finishers from last season's state meet. The 200 is hot - keep an eye on it this winter!